A smooth satin silver finish with rich black, laser engraved lettering is just one of the features of our Legacy Series metal nameplates. 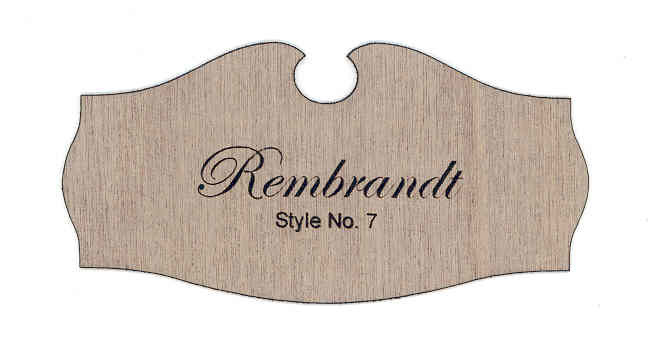 The Legacy Ornamental metal nameplate is a slim 5/8" in height and is available in 4 width sizes: 3.5", 4.5", 5.5" and 6.5." silver colored mounting brads to closely match the name plate finish. Mounting screws are optional.